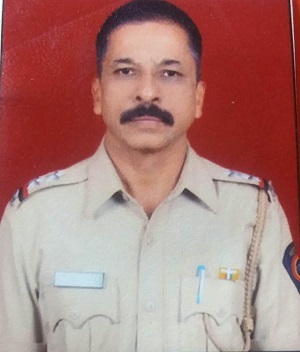 An Assistant Police Inspector (API) attached to Kolsewadi police station in Kalyan (East) refused to register an FIR telling the complainant that if he cannot protect his vehicle than how can he protect his wife. API Jairam Baban Ladke also suggested to the complainant that he should have locked the vehicle with a chain. On July 25, 2018 Rajkumar Ramdular Singh complained to Additional Commissioner of Police (Addl CP), Deputy Commissioner of Police (DCP) and Assistant Commissioner of Police (ACP) against API Jairam Baban Ladke. Complaint copy available with ABI (abinet.org). According to complaint on July 18, 2018 around 10.30 AM, Rajkumar Singh approached Kolsewadi police station to register FIR as his Activa motorbike was stolen. A policeman (name not known) noted down his complaint on a paper and suggested to search his vehicle himself for three days. He was asked to come back only if the bike was not found by him in the three days. On second day July 19 Singh visited the police station again to register his FIR. The policeman suggested that Singh call his son Abhishek as vehicle was registered in his name. He was also asked to bring the vehicle’s documents. Singh called Abhishek from Pune as he works in Pune. On July 21 Singh went to police station again with Abhishek and documents to register his FIR but policeman once again suggested that he search vehicle by himself for one more day and come back the next day. “Ladke ne mujhse kaha ki tumhe apni bike chain se bandh kar rakhni chahiye thi. Jab tum apni bike nahin sambhal sakte to Biwi ko kaise sambhaloge,” said Singh. Around 2 PM Ladke ordered Singh to come by 6pm. Singh and his son went to the police station at 6 PM. Around 8 PM Ladke suggested that they go and search their vehicle themselves at Bhiwandi and Thane. They were told to come on Wednesday and they were told that policeman that registered his formal complaint will register his FIR. Singh’s wife is suffering from cancer. She is under treatment at hospital. Six times he had to visit the police station. His FIR was not registered and instead Ladke insulted him. Helpless Singh complained against Ladke demanding action on him. Previous articleAs ex-wife Reham Khan slammed Imran Khan, here’s what his 3rd wife Bushra Maneka said….